1. Introduction 2. 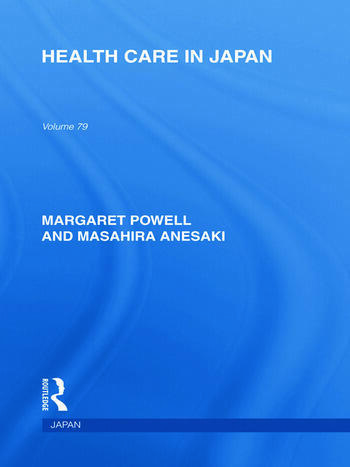 The History of Medical Care in Japan 3. Patterns and Trends in Mortality and Morbidity 4. Government Policies and Provisions for Health Care 5. Financing Health Care 6. The Medical Care Delivery System 7. The Health ‘Industries’. 8. The Health Professions 9. The Future: Japan at a Turning-point Appendix 1 Map of Japan. Appendix 2 Chronology. Appendix 3 Exchange rates, 1955-86. Appendix 4 Ownership of Hospital Facilities, 1986. Appendix 5 Medical schools in Japan, 1986. Appendix 6 Professional Organizations and Research Institutions. Bibliography. Index.